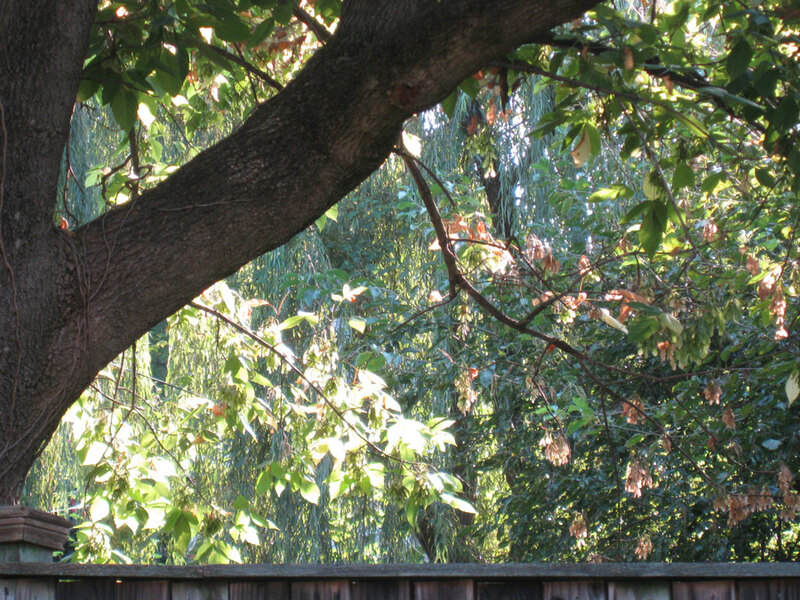 A willow curtain provides sylvan solitude. Willows don’t get much attention in late summer. They usually get a brief spotlight entrance in early spring, when they race into leaf before most other trees have gotten out of bed. But for me the charm of the willow doesn’t let up, even after all the headliners of spring—the flowering cherries and plums and dogwoods—steal the show. Long after those prima donnas have vanished behind their rather ho-hum summer foliage, the willows retain their unmatched grace and style. Whether swaying in the lightest breeze or backlit by the sun, willows can light up a landscape. As an urban gardener I appreciate the subtle power of “borrowed scenery,” the Japanese landscape concept in which small gardens are designed to take advantage of the beauty surrounding them. In the country this can mean framing a mountain view, or an open vista to a pastoral scene. In the city, where plots are small and houses close together, such grand scenery is less likely to be available, although some cities, Seattle for instance, enjoy an abundance of mountain and water views. Still, the idea behind the borrowed scenery strategy is that the beauty of a given yard depends not only on the work you put in yourself but the choices that your neighbors make. I’m grateful to the gardeners on my block, whose thoughtful tree and shrub selections provide an endlessly variable and interesting backdrop for my own small garden. Cooperation and consideration are the rootstock of good neighbors. I take my hat off to the gardeners who plant nice things by the sidewalk, who replace boring lawns with vibrant combinations of colorful foliage and blooms, who cherish the amazing trees in their yards. And a special tip of the trowel to the visionary neighbors who planted a wonderful willow tree in their backyard years ago. That green curtain lights up my world. 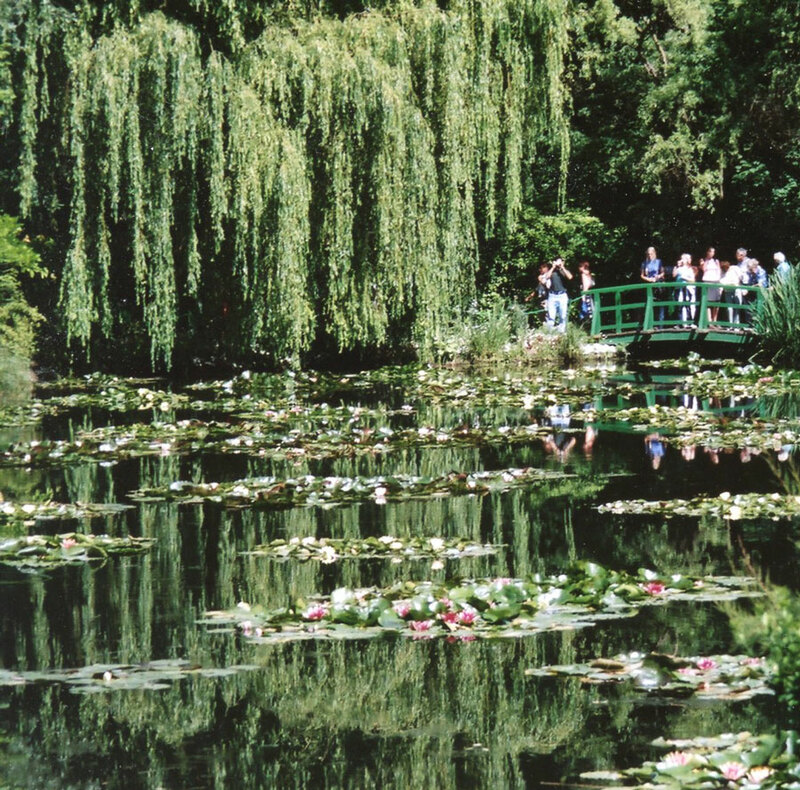 At Monet's Giverny the willows entrance visitors almost as much as the famous water lilies.